John A. Ferroli serves as the Office Managing Member of Dykema's Grand Rapids office. 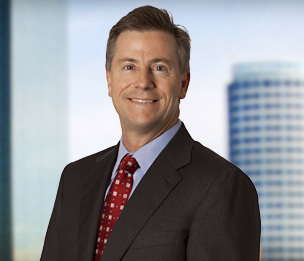 John's practice consists of the litigation of a wide variety of environmental, regulatory, commercial, real estate, insurance, and tort matters, and the handling of claims, enforcement and transactions involving such matters. Mr. Ferroli co-chairs the Fracking Team of the Firm's Energy Industry Group and serves on the Firm's Recruiting Committee. "The Sixth Circuit's 2017 En Banc Opinions"
"The Sixth Circuit's 2016 En Banc Opinions"
"The Sixth Circuit’s 2015 En Banc Opinions"
"The Sixth Circuit's 2013 En Banc Opinions"